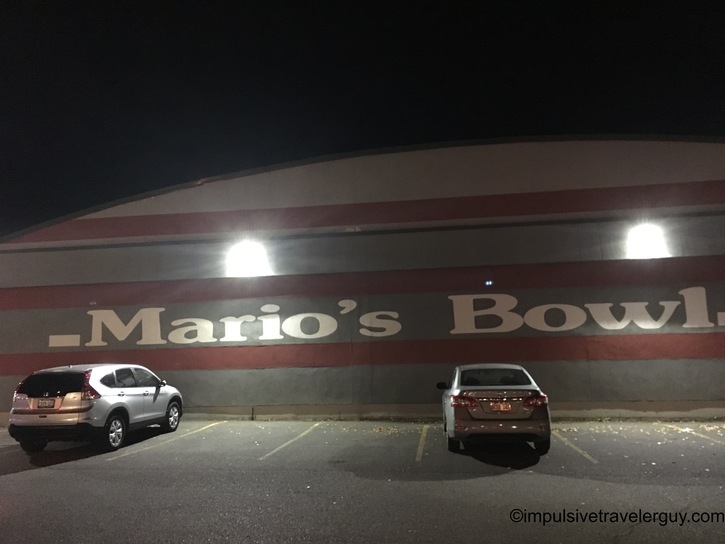 After Ryan concluded his show at the CILU, we had planned to meet some of his friends at Mario’s Bowl and go bowling. 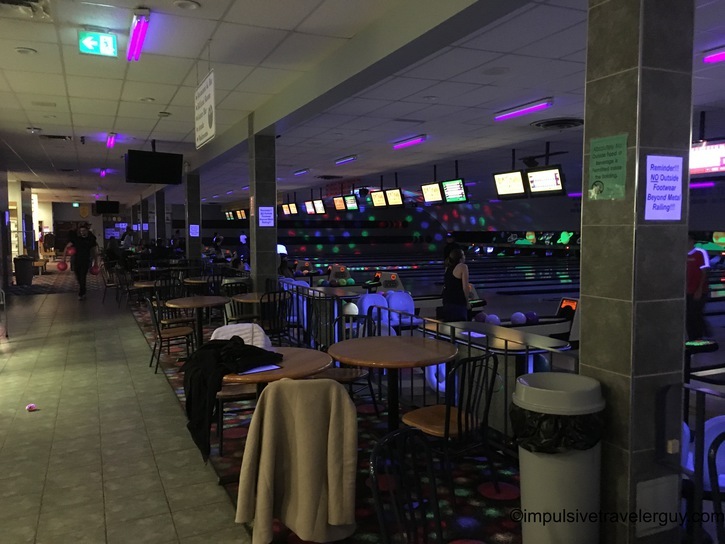 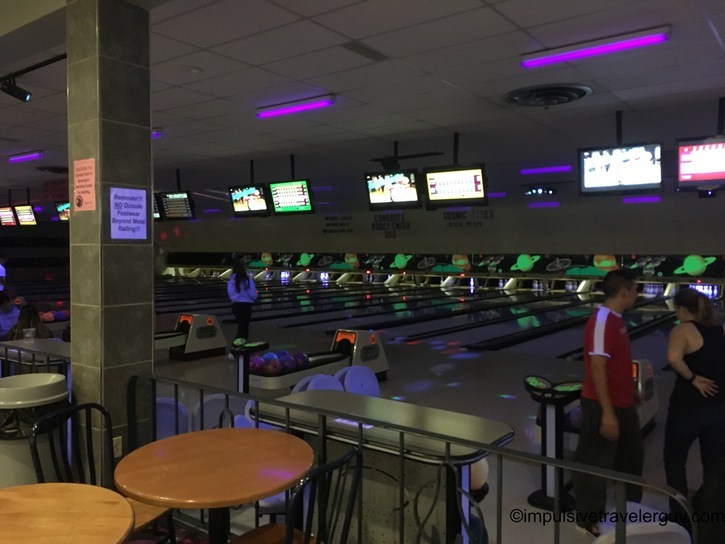 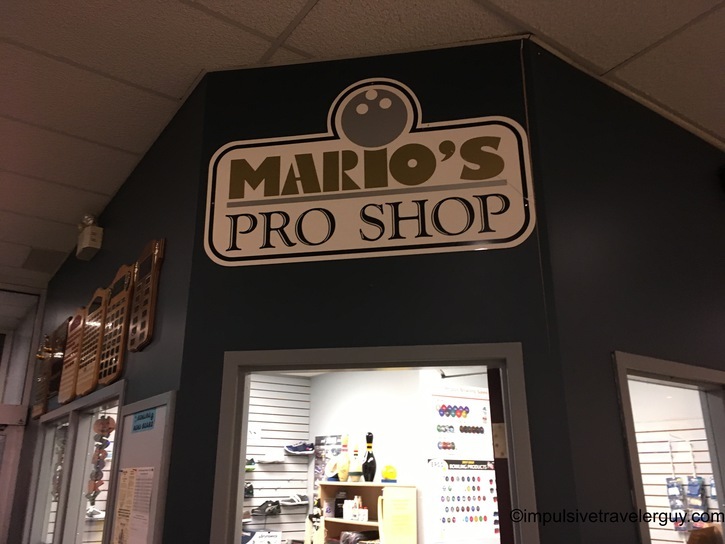 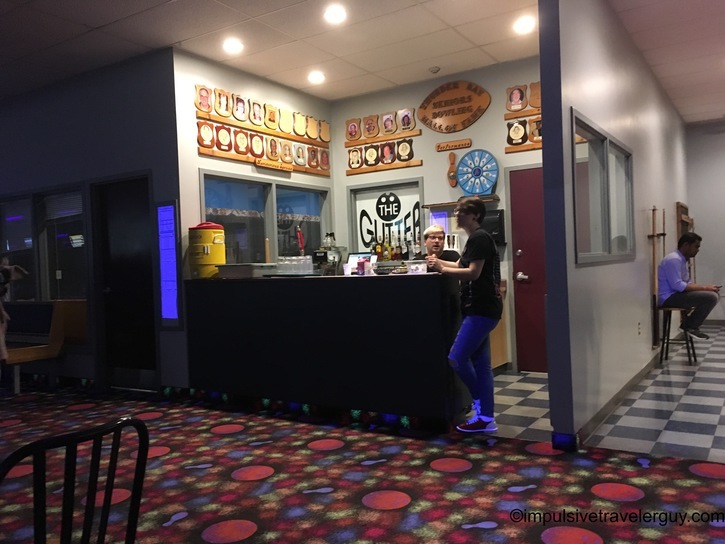 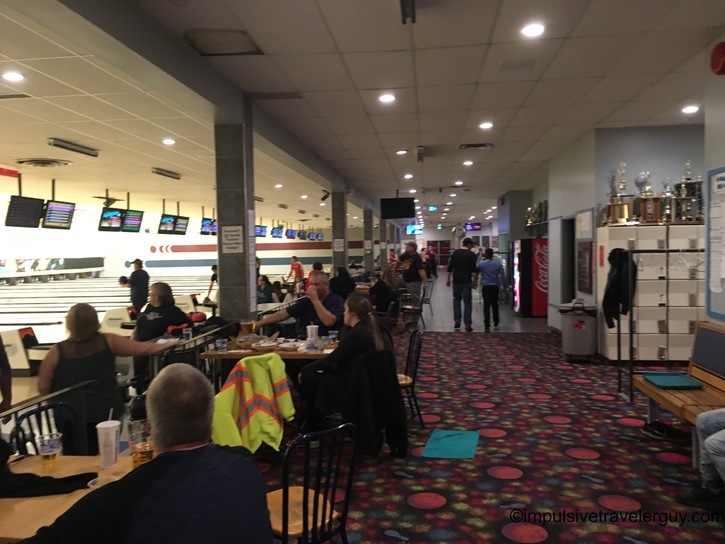 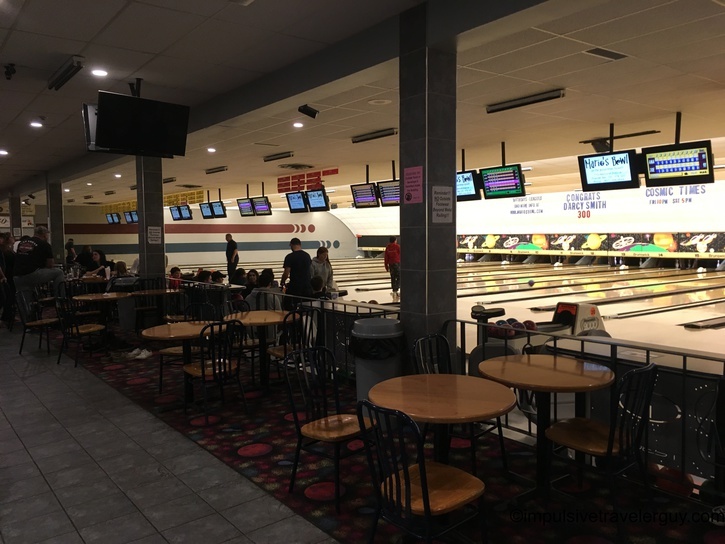 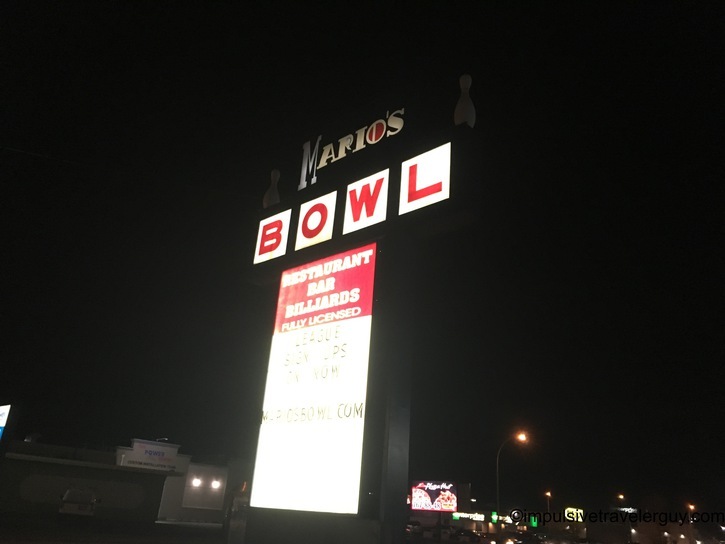 Mario’s Bowl had the same feel of most bowling alleys that were built 30-40 years ago and had a renovation about 15-20 years ago. 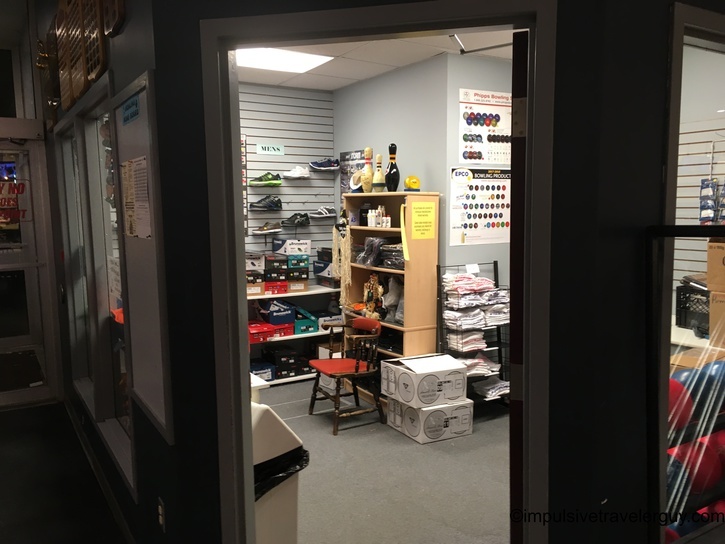 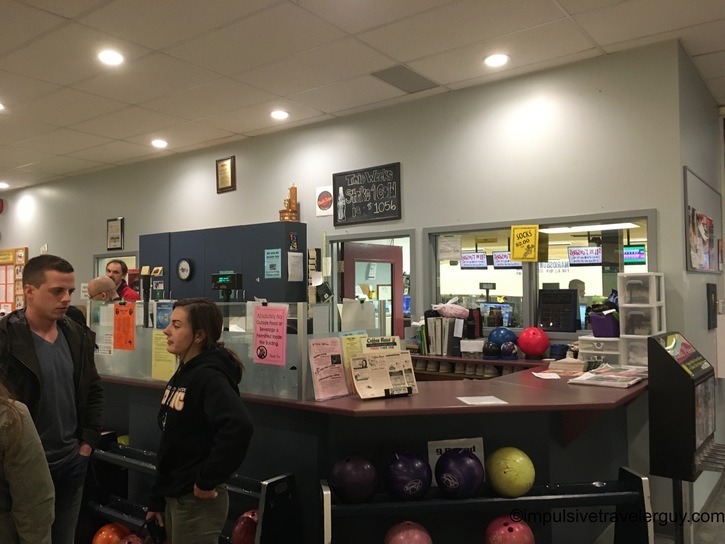 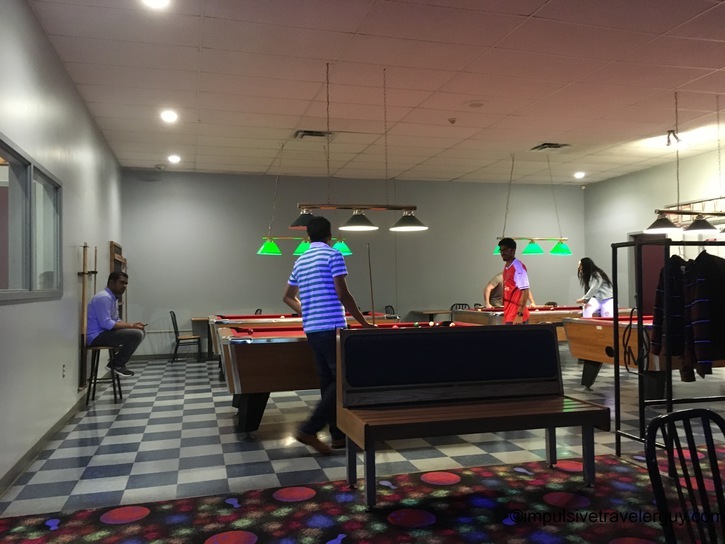 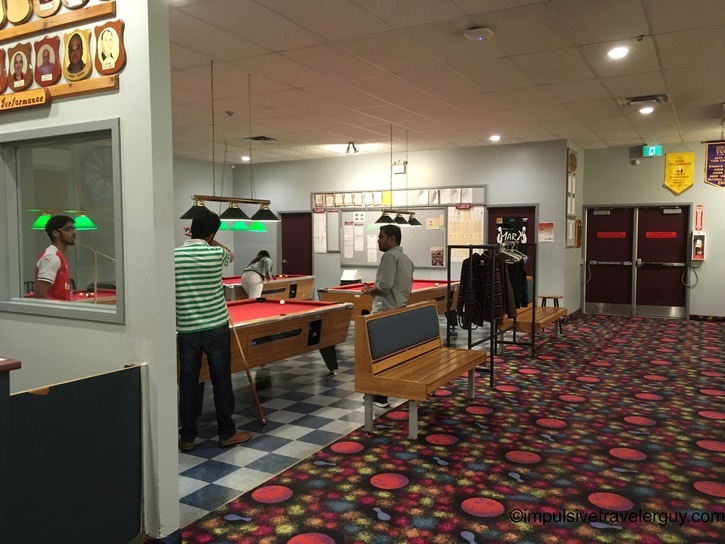 It had all the amenities of a bowling alley including a bar, pro shop, and pool tables. 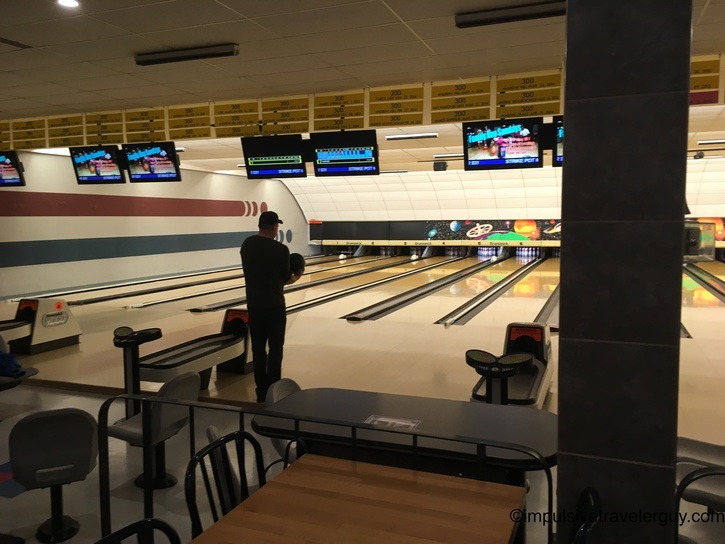 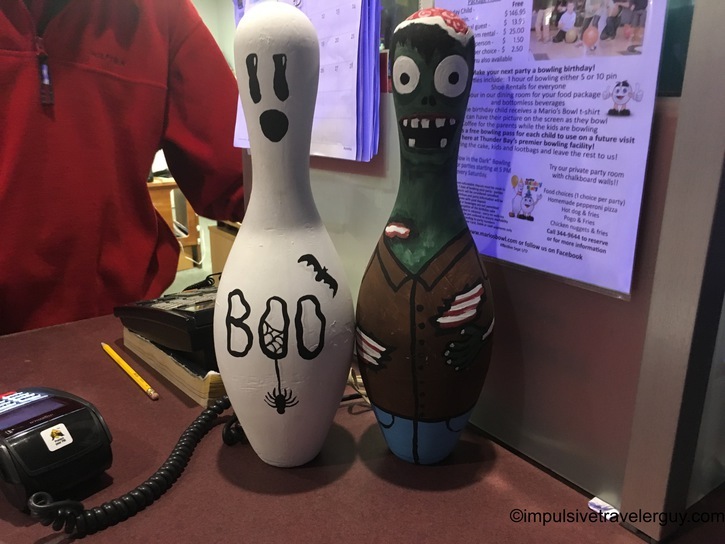 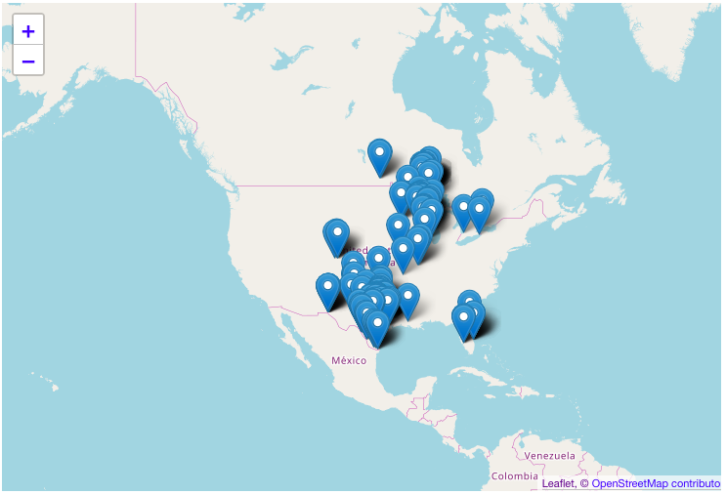 In many ways, it conjured up memories of bowling at Rose Bowl, the bowling alley in my hometown of Marshfield, Wisconsin. 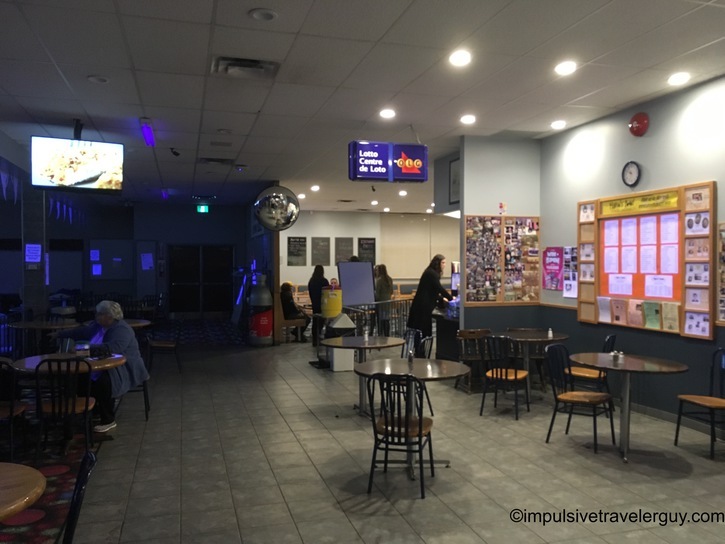 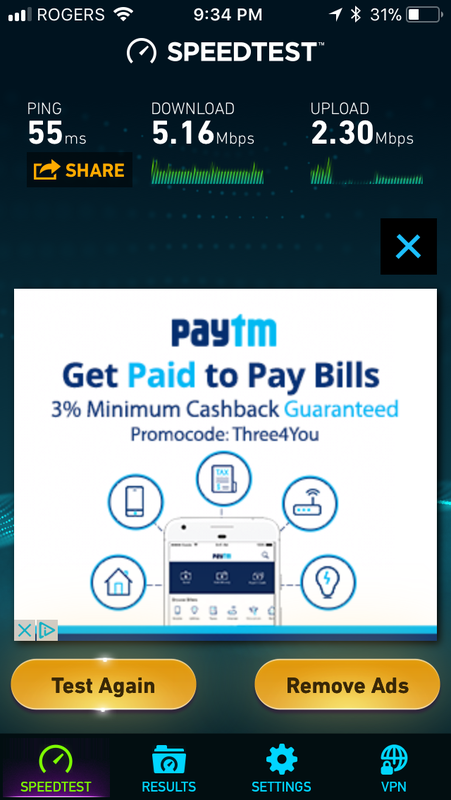 While we waited for Ryan’s friends to arrive, I hopped on the public wifi. 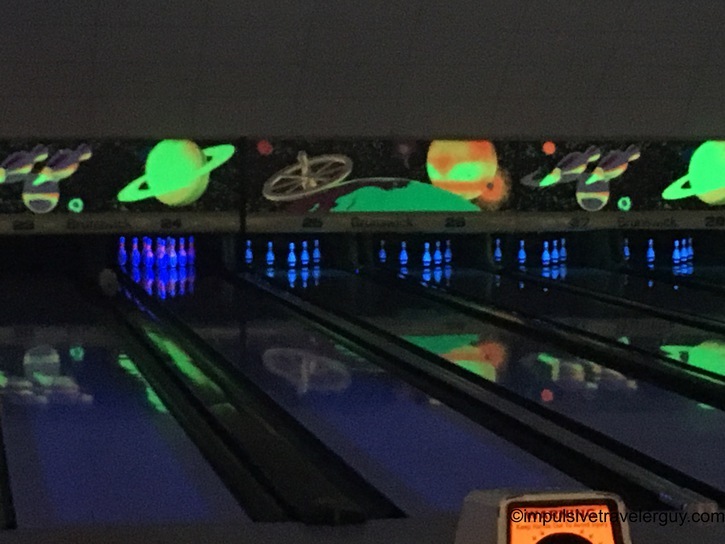 It was pretty decent overall. 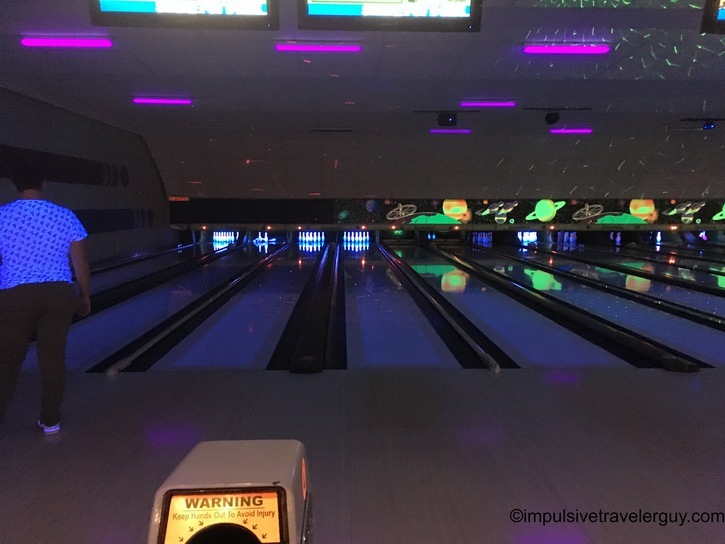 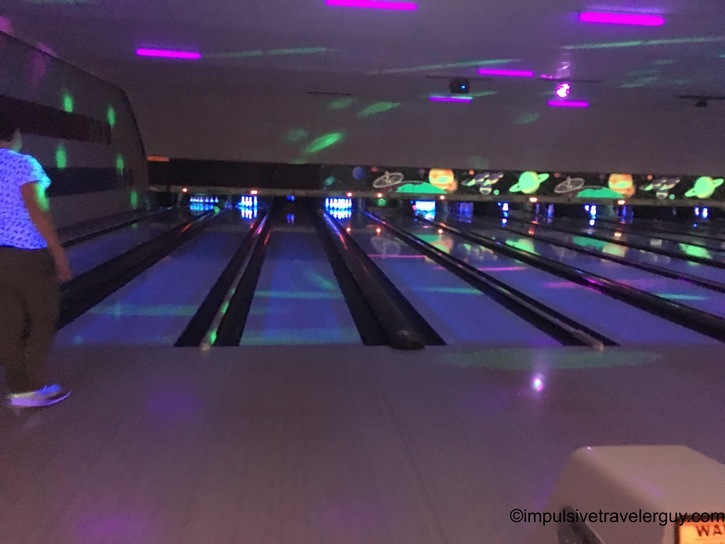 In the meantime, it became moonlight bowling, so the main lights got dim and everything else lit up. 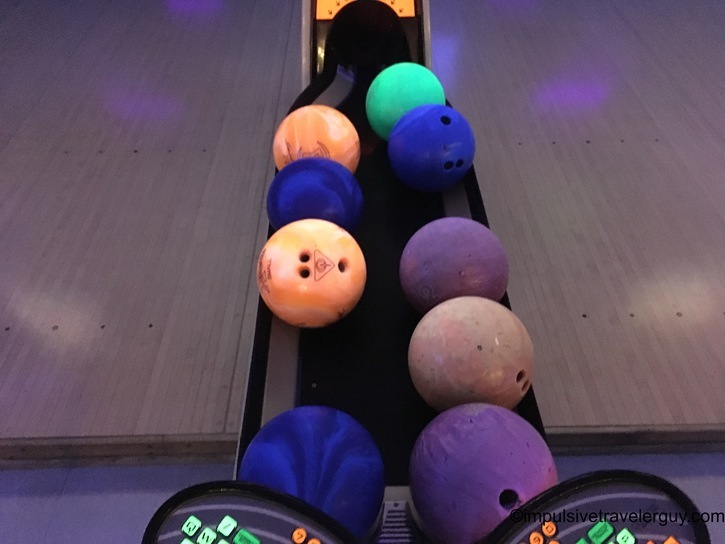 Ryan and I decided to bowl one game and his friends were going to bowl two. 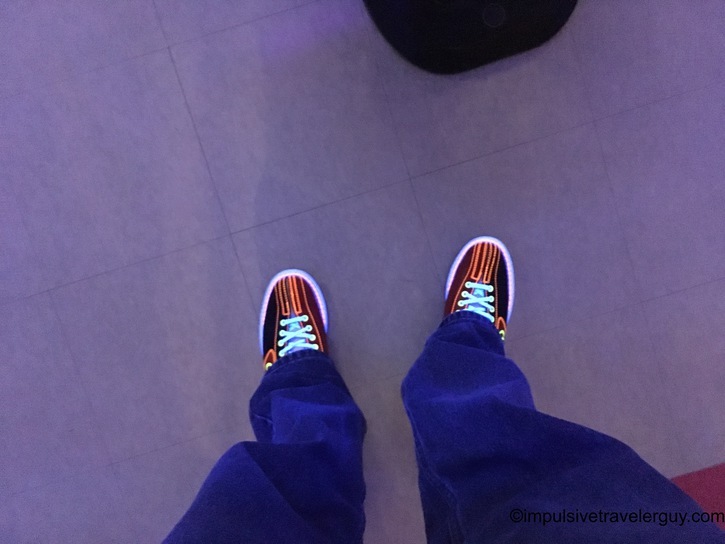 We got our shoes and headed down to our assigned lanes. 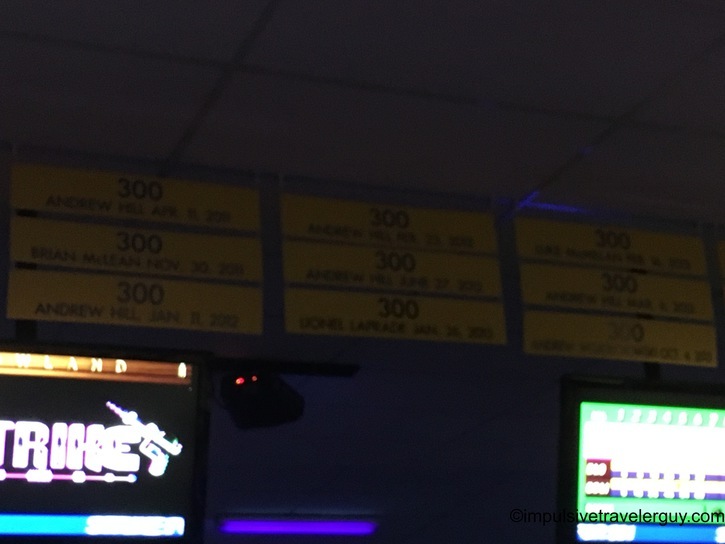 They had a banner of people who bowled 300 games. 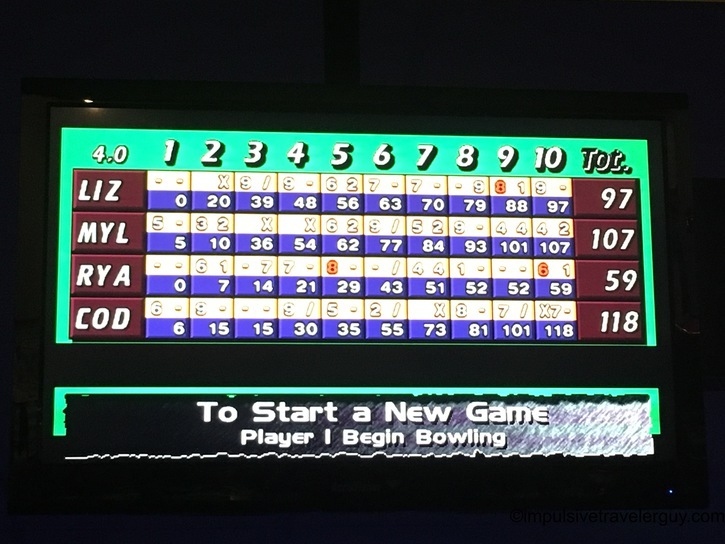 I think Andrew Hill must be some sort of pro bowler or something. 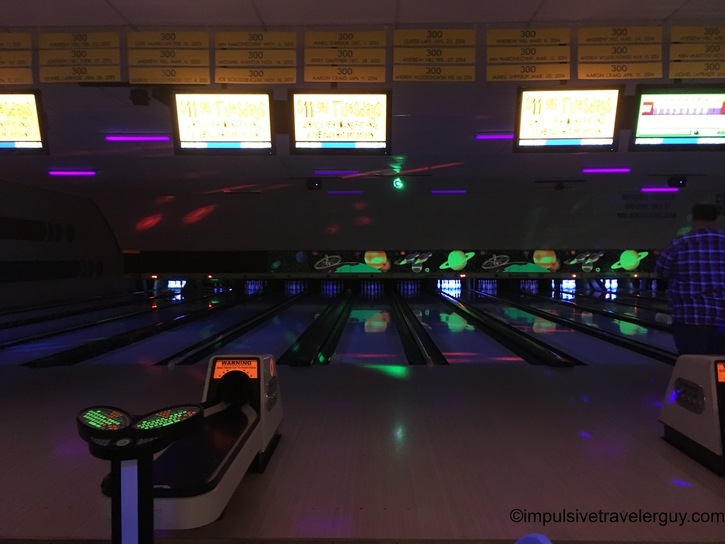 In the meantime of bowling, our lane went a little crazy and the pin setters kept jamming up. 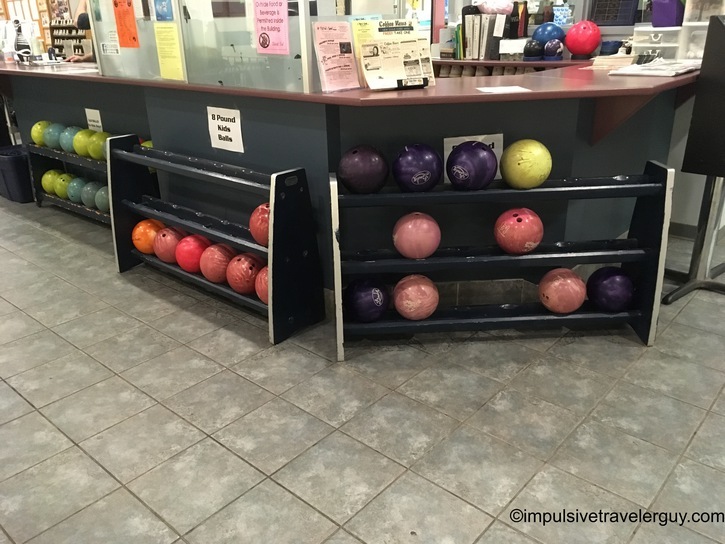 That was kind of fun to watch them messing around with it to try to get it working. 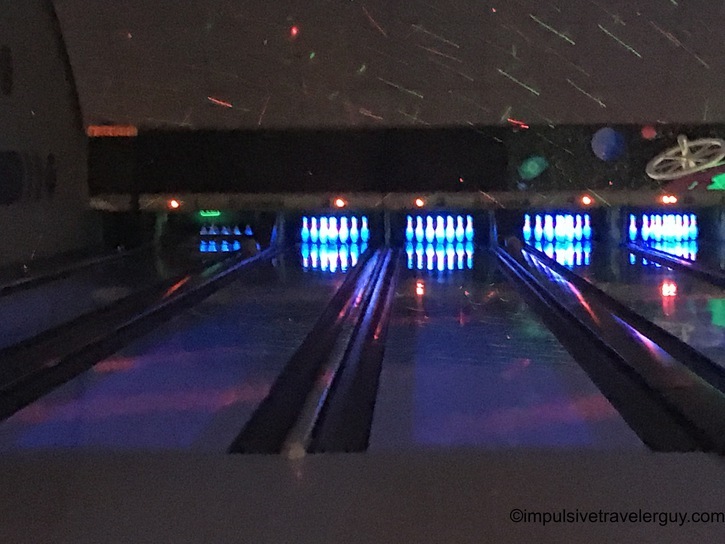 Normally for bowling, it takes me a game or two to warm up. 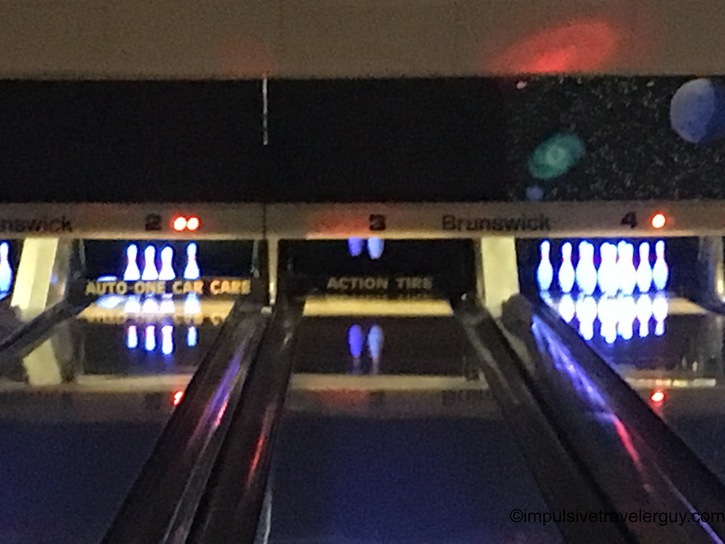 I ended trailing for pretty much the whole game and somehow came back to win it in the last couple frames. 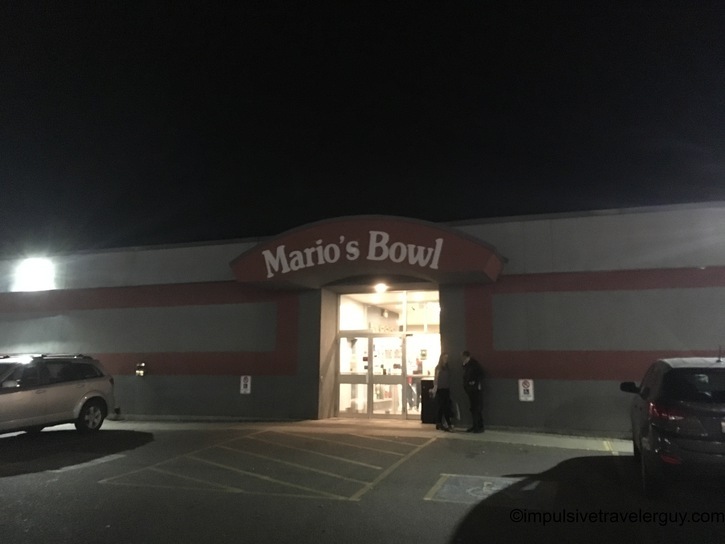 Bowling at Mario’s Bowl was fun. 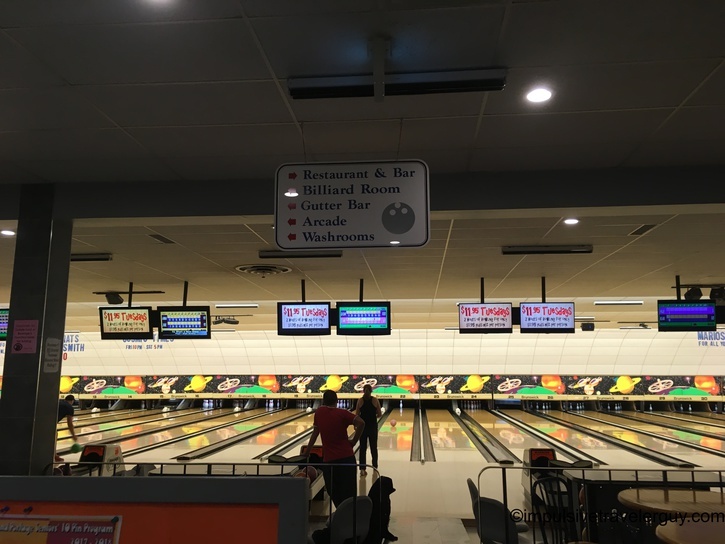 I hadn’t bowled in a long time and this place brought back some of the memories I had of bowling when I was younger. 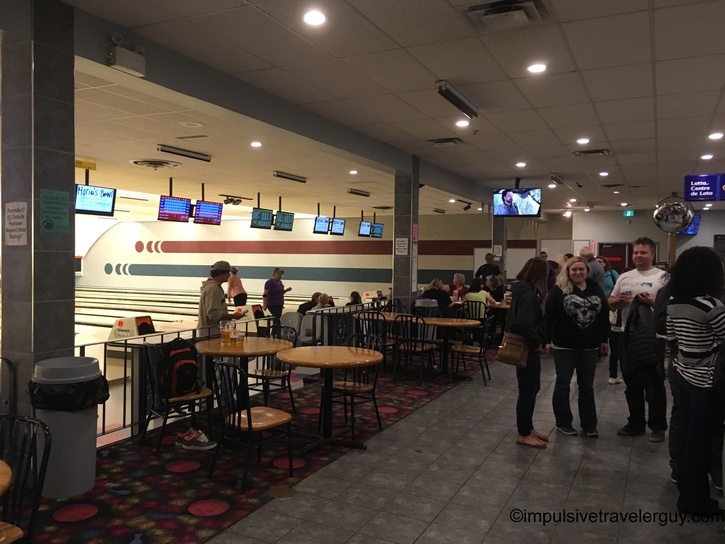 I should start bowling a bit more and maybe next time I’m in Thunder Bay, will have to bowl a few games here again.